Step out of your Arizona mobile home for a fun afternoon. Although it may be hot you should try and have fun while staying active this summer. 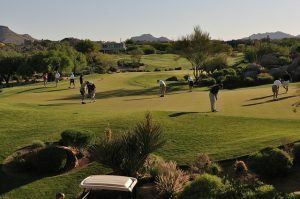 Here are a few summer activities to get you out of those Arizona manufactured homes. Grab some friends and go golfing! Work on improving your game this summer. Practice some puts and get your swing just right. Spending the day one some of the beautiful courses throughout the valley will be relaxing and fun. Take your grandkids to the driving range with you. Just remember to hydrate and know your limit when it comes to the sun. Go for a Swim. Whether you have family with a pool or you decide to go to a local gym swimming and water aerobics is great exercise. A pool is also a great place to be when it’s hot outside. You could even spend time with your grandkids, but don’t forget the sunscreen if the pool isn’t indoors. Take a walk. Go for a nice evening stroll. Wait for the sun to start to go down and take a walk through a park or maybe just your Arizona mobile home park and visit your neighbors. Walking at that time of day is very peaceful. You can clear your head and maybe even enjoy the sunset. Tend a Garden. With all this sun why not spend the day outdoors planting some veggies and beautiful flowers. Bring some life to the Arizona manufactured homes! Gardening is not only a great way to bond with neighbors it also allows you to work with your hands. It is an activity you can keep up all summer long!